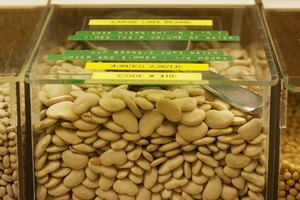 Flat, broad and white, butter beans sometimes are sold fresh at farmer’s markets. If you have an excess of butter beans, blanching them -- a short dip in boiling water -- is necessary if you want to freeze them. Freezing rather than canning is less time consuming and lets you make use of your butter bean bounty well after the harvest season. Many vegetables, including butter beans, need to be blanched prior to freezing. 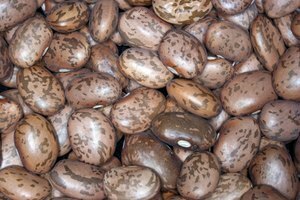 Blanching cleans the beans of any surface debris, helps preserve the texture and color of the beans, and minimizes the loss of nutrients. Butter beans can be steam blanched but this is not recommended. Starchy vegetables such as butter beans are best blanched using boiling water. Microwave blanching can lead to uneven blanching, leaving some beans under-blanched and others overcooked. 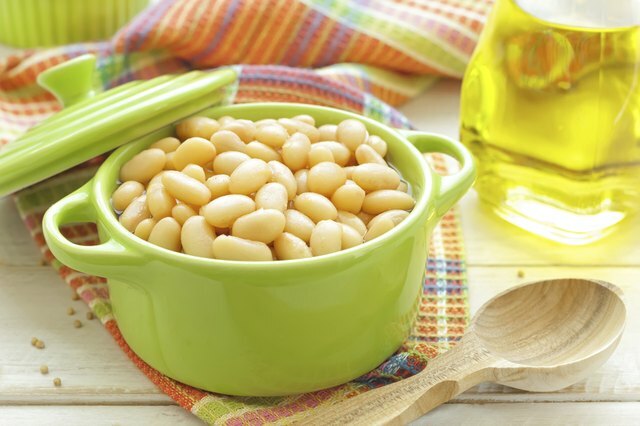 Thoroughly rinse butter beans and bring a large pot of water to a rolling boil. Arrange the beans in a single layer in a steamer basket and carefully lower it into the boiling water until the beans are submerged. You also can pour the beans directly into the boiling water if you have a slotted spoon to remove them with later. Cover and let them boil for two to four minutes, depending on the size of the beans. Remove the beans from the boiling water; either lift the basket, ladling out the beans. or if you do not have more batches, pour the water and beans through a colander. Immediately dunk the beans into an ice-water bath for two to four minutes. This halts the cooking process and is crucial for successfully blanched beans. To freeze the beans, pour them into airtight freezer bags or containers, keeping out excess air and moisture. Vacuum-sealed bags are ideal for freezer storage. Store the beans in the deepest part of the freezer and do not place filled bags on top of one another. This can slow down the freezing process, which can cause the texture of the beans to deteriorate. Do not freeze more than two to three pounds of food -- including butter beans -- in any 24-hour period. Too much at once can slow down the freezing rate. 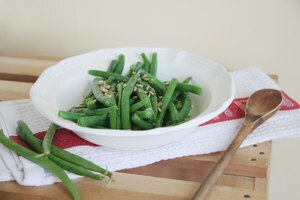 Blanched butter beans may be used like fresh butter beans. Blanched butter beans take approximately as long as fresh butter beans to cook and require sufficient liquid to finish softening. 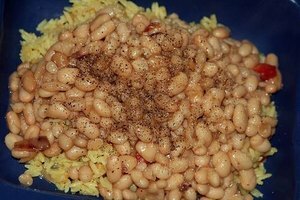 Blanched butter beans are not edible without further cooking. When fully cooked, butter beans have a creamy texture and rich taste, which is how they get their name. Add them to a chicken stew or with cabbage and sausage for a quick casserole.